Google Play offers a gigantic list of games for Android users, including casino classics like pokies, blackjack, roulette and bingo. The selection of Google’s pokies games includes tonnes of slots titles that can be downloaded for free or for a small cost starting from around $1.00 (most expensive around $5.00). Google pokies games are vibrant, fun and provide a great form of entertainment whether you’re using a desktop computer, smartphone or tablet. Note: Google pokies are for entertainment purposes only and can’t be played for real money. Pokies are played for credits which can only be used in the game in which the credits were earned (in-app purchases – buying extra credits with real money to unlock levels and other features, for example – may be available within some of the apps). 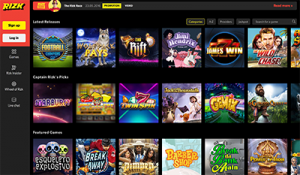 If you’re looking to play online pokies for real money to win real money, head to one of our recommended virtual casinos in the table above, where bets can be placed and won in Australian currency. To access Google pokies you’ll need an Android device that has access to the Google Play Store. Using your Android device, sign into Google Play using your standard Google account login details. Head to the Google games section, select the pokies game you want and download the app. By downloading the pokies app via your Android device, you will then be able to access it using your desktop computer by signing in to Google using the same account. Google Play is not available using an iPad, iPhone or Kindle device, however many of the same pokies are available through the iOS App Store. Slots Favourites: Vegas Slots – this free app is a collection of slots player favourites, so by downloading the one app you have access to over 10 pokies including Cleopatra’s Fortune, Fruit Slots, Lady of Rio, Wolf Wilds and Kitty Glitz, with more added constantly. These high quality games are a great way to experience online pokies and each game comes with some sweet bonus features. Slots Romance – this app was voted the Best New Slots Game of 2014 and is a must try for all the hopeless romantics out there. Following a theme of all things love related, Slots Romance is a collection of romance-themed pokies including Roaring 20’s, Marie Antoinette, Phantom of the Opera and Lady Godiva. Journey of Magic – this free collection of slots games is for those who like their pokies themed with all things mystical. If dragons, gods and mythical heroes are your thing, then Journey of Magic is for you. Work your way around the world map and enter new pokies lands like the Ice Kingdom, Busy Farm and Haunted Fields. Players receive free credits for every four hours of gameplay. Pharaoh’s Way – work your way through ancient Egyptian empires as you level up the more you play and the more diamonds (credits) you win. This has long been a player favourite for both Android and iOS gamers due to the flawless graphics and smooth animation and shows no sign of disappearing anytime soon. Slotomania – another app offering a vast collection of pokies, Slotomania has a nice variety of slots to choose from. Not sticking to any particular theme, pokie titles include Enchanted Oz, Dragon Ways, Happy Days and Cash Creatures. Upon downloading Slotomania you only have access to one game, but as you rack up your winnings you gain access to more and more games, each better than the last. These Google games mentioned only provide a small insight to the huge variety of pokies available at Google Play, with something to suit all tastes. If you’re looking for even more choice, or want to experience what the blockbuster movie slots games like Jurassic Park, Terminator or The Dark Knight are like, head to one of our regulated and legal recommended real money online casinos. While the selection of Google’s pokies games is impressive, the downfall is the games can’t be played for real money (due to legal restrictions). While these slots provide great entertainment and are fun to play just for the hell of it, playing online pokies for real money is a sweet alternative to increase the excitement levels with the chance of bringing in some incredible cash prizes. Trusted online casinos like those listed in our casino table above all offer huge catalogues of pokies games, with even better visual quality and gameplay features than Google pokies, and with the added benefit of allowing real money bets in AUD currency. Pokies titles at these secure gambling venues number in the hundreds, including progressive jackpot slots and 3D pokies. The leading gaming providers like NetEntertainment, BetSoft, NextGen, NYX Gaming and Microgaming which power these online and mobile slots have embraced partnerships with big name entertainment companies like Universal Studios and DC Comics to bring some of the biggest names in blockbuster movies to life in pokies form. Deposits and withdrawals are available using a range of secure payment methods like Visa, MasterCard, bank deposits and e-wallet services like Neteller, Skrill and Paysafecard. Real cash credits earned playing real money pokies can be used throughout the site’s entire range of casino games, unlike Google pokies where credits can only be used within the game they were earned. The huge range of slots title at these casinos are coupled with other popular casino games like roulette, blackjack, poker, casino war, bingo, keno, scratch cards, virtual sports games and baccarat. If you’ve spent some time playing Google pokies games, we highly recommend trying your luck at real money online pokies at reputable virtual casinos, all of which are compatible with your smartphones and tablets (and even Smart TVs), so games can be played on the go with full mobile optimisation for Android users. Like Google pokies, these games can also be played for free in practice mode until your heart is content, with hundreds of more titles and variations than you’ll find within Google games. If you’re tired to Google Play and would rather play pokies online for real money, head to Slots Million for instant access to over 1600 vibrant slot games, where new players can claim up to $100 in bonus money and 100 free spins upon sign up.